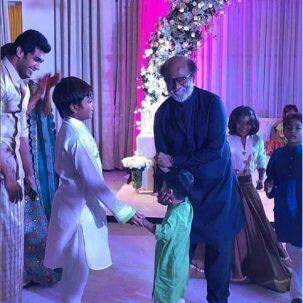 The superstar was accompanied by grandchildren Ved and Yatra who were seen having a blast. Nora Fatehi Takes Inspiration From Renowned Belly Dancer Didem For Her Song With John Abraham! Ranveer Singh’s Quirk OR Arshad Warsi’s Nostalgia – Which Aankh Marey Is Your Favourite? VOTE NOW!